I've had so much going on the past couple of days, I haven't had a chance to blog my delish dinner from 2 nights ago. My oldest JR, graduated from preschool yesterday, and will be going into Kindergarten. I've been emotional about this, on one hand I am beaming with pride and joy, and on the other, I can't get over how fast time is flying by. Yesterday was the last day of school, and camp already starts next Monday. Summer is here. With summer comes backyard barbecues, King Hock's favorite. 2 nights ago, I used the grill and made Cedar Plank Salmon with Garlic Herb Butter, I also made Breadcrumb Pasta, and Roasted Peas, Mushrooms, and Cherry Tomatoes. This salmon has a delicious smoky cedar flavor from the cedar plank and the smoked paprika. Definitely give it a try with the garlic herb butter, which is placed in a small scoop on top of the hot salmon and it melts over it. Heat the grill. Lay the salmon on the cedar plank, and drizzle with olive oil. Sprinkle with salt, pepper, lemon zest, smoked paprika, and brown sugar. Then squeeze the lemon over the salmon. Place the plank on the grill and cook for 20 minutes. Heat the broiler in the oven. Place the salmon under the broiler for a few minutes until the top is crisp. Serve with a small scoop of garlic herb butter and lots of lemon wedges. This is delicious on hot bread or rolls too! Use an electric mixer to mix the above ingredients until combined. Refrigerate until ready to use. A light side dish that goes well with fish, or chicken. 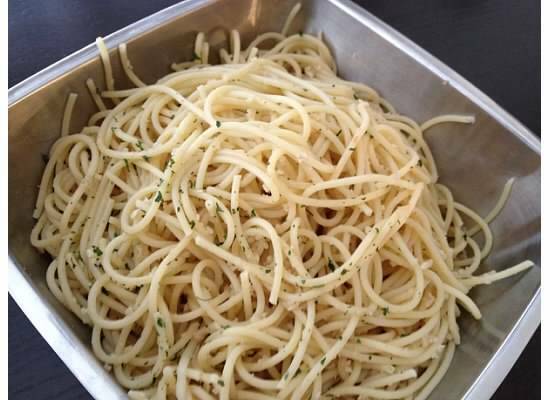 Cook the spaghetti to al dente, or according to the package's directions. Drain in a colander. Then return to the pot and mix with the rest of the ingredients. A friend of mine brought us a meal with this side dish, after I had Prince Hock #3. 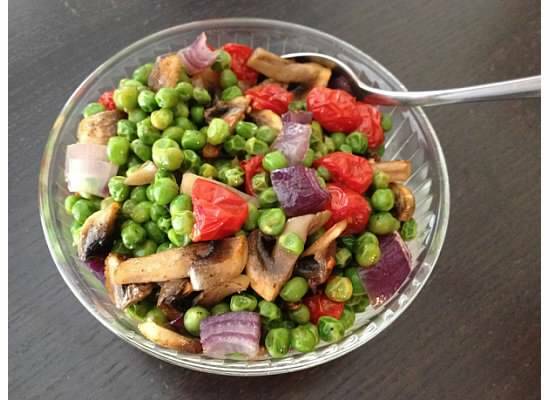 I was not a huge pea eater before I tried this recipe, if you are the same, you will change your mind, try it! Heat the oven to 425 degrees. 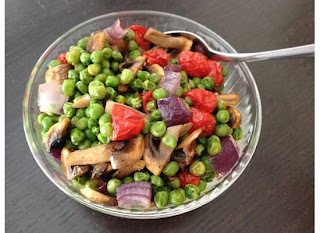 Pour the frozen peas on a sheet pan with the mushrooms, cherry tomatoes, and red onion. Drizzle with the olive oil and then sprinkle generously with salt and pepper. Cook for 15 minutes or until fragrant, the tomatoes and peas should be a bit shriveled.